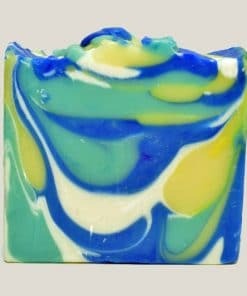 Now with new colors, our Citrus Splash soap is a warm, sweet and tangy aromatic soap. Available in a 5.5 ounce bar, a 2 ounce round, a travel tin (includes a 2 ounce round and sponge), 28 ounce half brick (uncut), and a 55 ounce brick (uncut). Half Bricks and Bricks are sold by special order only. Check out the new colors for 2018! 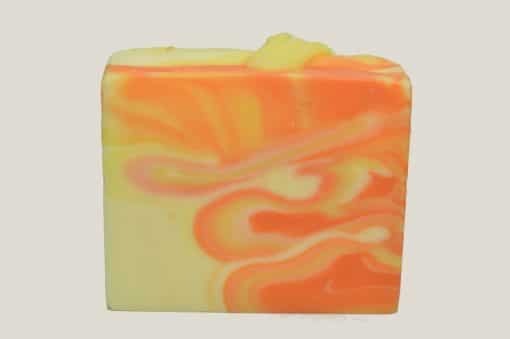 Our Citrus Splash soap is a warm, sweet and tangy aromatic soap. And It is stimulating, yet with a soothing action against tension and fatigue. 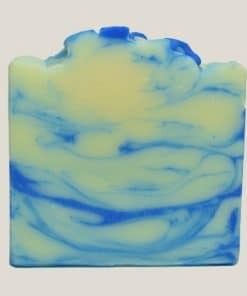 If you close your eyes, our special blend of Tangerine, Lemon, Lime and Litsea Cubeba essential oils could make you feel like you are in a Florida sunny orchard. 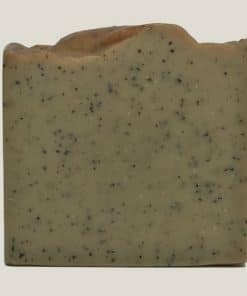 The all-natural Castor, Coconut and Palm Kernel vegetable oils make a soap that lathers very well. 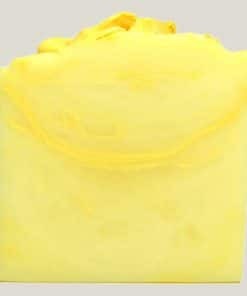 Also, the Grapeseed oil and Shea Butter provide great moisturizing with no oily feeling. At first sight, the bright color swirls in this Citrus Splash Soap will bring to mind oranges and tangerines. Base Oils: Coconut, Palm Kernel, Olive, Grapeseed, Palm and Castor. Essential Oils: Our very special blend of Tangerine, Lemon, Lime and Litsea Cubeba. Natural Enhancements: Grapefruit Seed Extract (natural preservative), Shea Butter and Colorants (extracted from natural minerals). Get this scent in one of our Gift Packs—the perfect gift for that special someone on a special occasion, or just because!